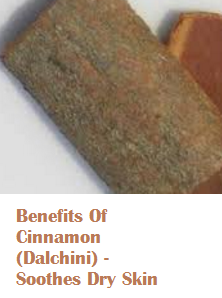 What is cinnamon (dalchini) or meaning of cinnamon? The cinnamon spice we use is the inner bark from the upper branches of the genus ‘Cinnamomum’ tree which is scraped and dried. Cinnamon is a highly delicious spice and known for its medicinal properties long time ago cinnamon was more valuable than gold. Cinnamon is spice from the dried aromatic bark of the Ceylon cinnamon tree used as rolled strips or ground. Cinnamon is a tropical Asian tree with aromatic yellowish-brown bark and an aromatic bark used as a spice. Cinnamon was one of the first spices to be used in the ancient world. It was first used in Egypt as early as 2000BC. Today, there are primarily two varieties of cinnamon available. Cassia cinnamon found in China, Vietnam and Indonesia and Ceylon cinnamon from Sri Lanka, India, Brazil and the Caribbean. The Cassia cinnamon is the cheaper variety which has a stronger flavour while Ceylon cinnamon is mellow and sweet. Cinnamon sticks have a longer shelf life than cinnamon powder. Cinnamon powder gives more flavor to food than using cinnamon sticks in food preparations. Cinnamon popularly is known as “Dalchini” in Hindi,Gujarati,Marathi and Punjabi, ‘Dalchina Chekka‘ in Telugu, ‘Pattai‘ in Tamil, ‘Karuvapatta‘ in Malayalam, ‘Lavana Patte‘ in Kannada, and ‘Darchini‘ in Bengali. Cinnamon is a healthy spice. It provides about 38 percent of your daily requirement of Manganese and 10 percent of your daily requirement for iron and dietary fiber. Cinnamon is also loaded with calcium. For ages cinnamon has been used to treat various ailments such as diabetes, joint conditions and high blood pressure, medical studies have not shown proven results . 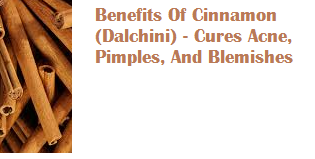 Cinnamon works great to cure acne and blemishes when used both internally and externally. Elevated levels of testosterone and increased blood sugar levels are leading causes of acne in adult women and are often connected to each other. Cinnamon helps in treating these hormonal conditions by balancing your body’s hormones. Cinnamon is known for its powerful antiseptic and cleansing properties, cinnamon helps in keeping the skin clean and free of blemishes. It also energizes and rejuvenates your skin. Cinnamon improves blood flow to the outer skin surface. Using honey and cinnamon face mask works very well to get rid of acne, pimples and blemishes. To make this amazing cinnamon and honey face mask you need to mix 3 tbsp of honey with 1 tbsp of cinnamon powder. Apply this paste on the acne affected area and leave it there overnight, and rinse your face the next morning. Cinnamon works excellently as an exfoliant to remove dead skin cells and helps to rejuvenate your skin making it smooth and soft. You can use cinnamon in the form of a scrub by mixing cinnamon powder, honey, olive oil, almond oil and sea salt and apply it on your dry skin. 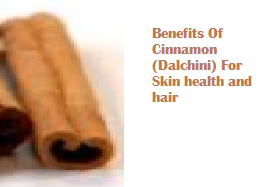 Cinnamon is loaded with antifungal and antibacterial properties which help in enhancing the skin complexion. 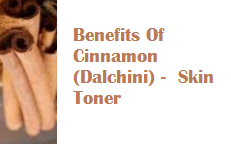 To get radiant skin you can use cinnamon to make a face mask. To make this banana cinnamon mask you need to puree the banana in the blender and then add some yogurt, lemon juice and cinnamon to it and make a smooth paste. Apply this face mask on your face and rinse it after 15 minutes with lukewarm water. Cinnamon helps in improving blood flow which provides the outer surface of the skin with fresh blood and oxygen which helps in improving the skin complexion. To get rid of fine lines you can use a mixture of a few drops of cinnamon essential oil and petroleum jelly and apply it all over the face. Cinnamon is known for its powerful antiseptic, antifungal and antibacterial properties which works great to prevent infections and helps in curing cuts and wounds. Applying a paste made from cinnamon powder and honey helps to fight any kind of skin infection. 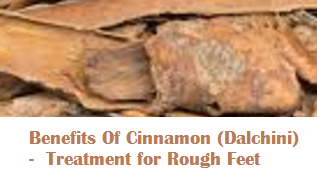 Dusting cinnamon powder on cuts and wounds helps to kill germs and heals the wound quickly. Cinnamon is rich in antioxidants which helps in softening dry skin by increasing the flow of blood to the outermost surface of the skin. To soften your rough feet prepare a foot bath in a small tub by mixing a ¼ cup of whole milk, the juice of 5 lemons, 1 tbsp of olive oil, ½ cup of water, and 2 tbsp of cinnamon powder. Soak your rough feet in this foot bath for 15 minutes to get soft and smooth feet. Dealing with hair loss is a stressful affair for even the most self-assured among us. Both men and women have experimented with an array of alternative treatments, searching for the holy grail: the cure for hair loss. Cinnamon is known to improve blood circulation in the body. 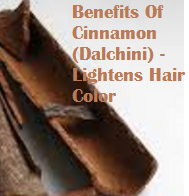 cinnamon increases blood flow to the scalp, which strengthens and nourishes the hair follicles and promotes hair growth. Cinnamon also moisturizes the hair. Using a combination of honey and cinnamon in a hair mask works great to stimulate hair growth. Mix 1 tsp of cinnamon powder, 1 tbsp of olive oil , 1 tsp honey and 1 egg. Apply this mask on your hair and let it sit there for 20 minutes and later rinse using a mild shampoo. Organic compounds eugenol and cinnamaldehyde found in cinnamon which are antiviral, antifungal, and antibacterial. This is said to prevent fungal and bacterial infections of the scalp. Cinnamon nourishes your scalp by getting rid of dandruff and dry flaky skin on the scalp. Applying a mixture made from 1 tsp cinnamon powder, 1 tbsp honey and ¼ cup of warm olive oil. Massage this amazing mixture on your scalp to get rid of dandruff and dry flaky skin. If your hair color is too dark and you want to lighten the color slightly you can use cinnamon to do so. Mix one part cinnamon powder to one part of conditioner. Apply this mixture to your hair strands where you need to lighten the color. Leave this mixture on your hair overnight and rinse your hair clean the next day. 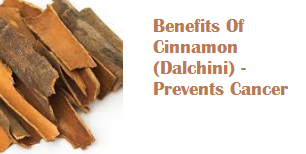 Cinnamon has many health promoting properties which helps in keeping us healthy. Inclusion of cinnamon in your daily diet can work great to keep you healthy. 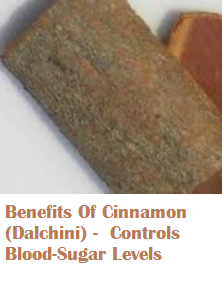 Daily intake of cinnamon works great to reduce the levels of ldl cholesterol and increase the HDL levels in the blood. To maintain a good heart health you should keep your bad cholesterol level low and good cholesterol levels high. One way to include cinnamon in your daily routine is by sipping on some freshly made cinnamon tea. A teaspoon of cinnamon daily is more than enough for keeping yourself healthy. Cinnamon is rich in analgesic and anti-inflammatory properties are effective in reducing the pain and swelling in joints and muscles. Cinnamon reacts with prostaglandin in the body that contributes to contraction and relaxation of muscle tissues. It is commonly used to treat pain. Cinnamon spice is known for its warming properties which help to keep you warm during colds. Cinnamon mixed with ginger is an excellent remedy to relieve from cold. Cinnamon promotes blood circulation to the bodies extremities like fingers and toes and has been used for reducing body pain caused by cold. Cinnamon was traditionally also used for providing relief from aching muscles and other symptoms of viral conditions such as colds and flu. Cinnamon and ginger have been used for ages to fight colds. Another home remedy includes having a mixture of ¼ tsp cinnamon powder and 1 tbsp of honey. Having this mixture twice a day can give you a quick relief from common cold. Arthritis is a condition which refers to pain, swelling and stiffness in your joints. There are different types of arthritis. Osteoarthritis is the type of arthritis which occurs as you age or due to an injury. Other forms of arthritis like rheumatoid arthritis and juvenile rheumatoid arthritis are autoimmune in nature and are caused when your body’s immune system attacks the joints in your body. Cinnamon is known for its anti-inflammatory and antibacterial properties, which help in reducing pain, swelling and stiffness in your joints. In a hot cup of water, add two spoons of honey and a teaspoon of cinnamon powder. Drink the mixture twice a day to reduce arthritic pain. When something is wrong with your intestinal tract you get a feeling of indigestion, digestive upset and dyspepsia. Having an upset stomach is not a disease, but its sign which indicates an underlying problem like ulcers and other health conditions. Burping, flatulence, nausea and bloating are also signs of the same. Honey and cinnamon both are loaded with antibacterial properties which fight against H. pylori bacteria, which can cause gastric ulcers. Cinnamon also helps breakdown fats easily and help in a quick digestion. 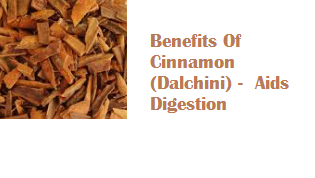 For ages Cinnamon extracts are used to take care of gastrointestinal problems such as flatulent dyspepsia or gastrointestinal spasms and help calm the stomach. 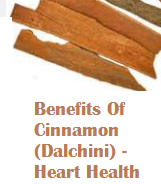 Cinnamon is very useful in preventing heart diseases by simply providing nutrients to the body. Cinnamon is loaded with calcium and fiber which aids the body in removing toxic substances from the body.Daily intake of cinnamon works great to reduce the levels of ldl cholesterol and increase the HDL levels in the blood. To maintain a good heart health you should keep your bad cholesterol level low and good cholesterol levels high. This helps in preventing atherosclerosis and the development of heart disease. You can include cinnamon in your diet by making a thick spread by mixing cinnamon powder and honey. Replace your regular jam with this. This will reduce the risk of heart attacks. Weight loss is one of the most talked topic today due to the ever increasing waistlines of people around the world. People around the world believe that cinnamon is a super food to lose weight when combined with a proper diet and exercise regimen. Like many other foods, herbs and spices cinnamon can also help assist you in your weight loss journey and not alone cause weight loss. Cinnamon has the unique ability to imitate the activity of insulin in the body to manage blood sugar levels. Maintaining your blood sugar levels is very important for you to lose weight. Cinnamon can help do this by controlling insulin quantities. Cinnamon slows down the process of moving food into your stomach. This will help you feel full for a longer period of time and you will avoid eating much. Menstrual pain refers to the pain felt by women during their menstrual cycle. 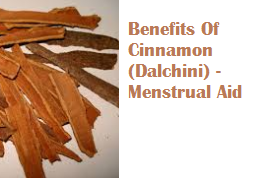 Having cinnamon before your menstruation cycle starts helps in reducing the symptoms of menstrual pain. A famous Chinese medicine of having cinnamon tea with brown sugar is often used in the treatment of menstrual cramps. Cinnamon is a natural chemoprevention agent for it has anti-tumor abilities. It takes not more than a half teaspoon of cinnamon powder every day to keep cancer risk away. Cinnamon is Useful in reducing tumour growth, it blocks the formation of new cancerous cells in the human body. Cinnamon helps in detoxifying the body of all toxins and harmful substances making it very effective in preventing cancer. Make a mixture of honey and cinnamon powder in water. Drink this mixture twice a day for three months to see its effects. Tea made with honey and cinnamon powder, when taken regularly, boosts immunity and keeps you healthy. To make this amazing tea use 4 tsp of honey, 1 tsp of cinnamon powder, and 3 cups of boiling water. Drink quarter cup of this tea 3 to 4 times a day. Cinnamon tea keeps the skin fresh and soft and delays the signs of aging. For ages cinnamon has been used to cure a variety of diseases including various infections,arthritis, skin problems, heart disease, and for longevity. Cinnamon has been shown to help lower blood glucose levels in people with Type 2 diabetes. Cinnamon has an unique ability to imitate the activity of insulin in the body to manage blood sugar levels making it amazing to treat diabetes. A study suggests that consuming quarter teaspoon of cinnamon daily over a period of two months, will help reduce blood sugar levels by 30 percent. Cinnamon is rich in cinnamaldehyde which is a nutrient known to increase the progesterone level and decrease testosterone levels in women. This brings a hormonal balance in women reducing the risk of Infertility. Neurodegenerative diseases are diseases in which the cells of the brains get damaged like Alzheimer’s, Parkinson's etc. Recent studies show that cinnamon has both proanthocyanidins and cinnamaldehyde that activate tau proteins that stabilize nerve cells, and keep brain cells from dying. Cinnamon helps to protect and preserve the brain cells. Cinnamon also slows down the process by which the brain loses its cells. Daily intake of cinnamon in your diet will help to protect you against Neurodegenerative diseases. 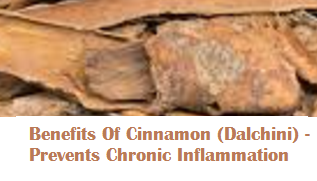 The anti-inflammatory properties of cinnamon helps reduce inflammation in the brain cells. Many people turn to brain boosting supplements which are available in the drug stores to improve brain functioning, while there is one amazing brain-boosting food right there in your kitchen. Yes cinnamon it is. Just by taking the aroma of this spice it improves your cognitive function. Cinnamon is metabolized to sodium benzoate which has many positive effects important to the human's brain function. Cinnamon is loaded with antibacterial properties which kills the bacteria causing bad breath. For ages cinnamon has been used as a home remedy for getting rid of bad breath. Chewing on few cinnamon sticks or gargling with warm water infused with cinnamon helps to get rid of bad breath effectively. Cinnamon is loaded with antibacterial and antiviral properties. 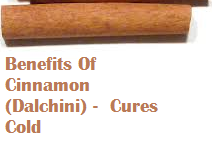 Which makes cinnamon an effective remedy for curing cold and flu. It also stops bacterial growth, which can cause UTIs and E. coli. It is also said to fight fungal infections like candida etc. Daily intake of cinnamon tea is said to reduce a risk of stomach flu and other diseases caused by various viruses and bacteria. Cinnamon is loaded with antioxidants. catechins is an antioxidant which is found in cinnamon which aids in digestion and prevents IBS and other related stomach problems like bloating, constipation, gas, etc. A cup of cinnamon tea helps in providing relief from IBS. 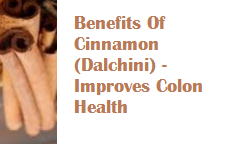 As per a study cinnamon is very good to maintain colon health. Cinnamon being rich in antioxidants helps in cleansing the colon by getting rid of all the toxins and preventing colon cancer. Chronic inflammation has for ages been connected to a large number of dangerous illnesses and diseases such as Crohn’s disease, Parkinson’s, Alzheimer’s, osteoporosis, obesity, infertility, etc. Cinnamon is loaded with anti-inflammatory properties. Daily intake of Cinnamon tea is an amazing way to fight inflammation and protect your body from its effects that can cause health problems. Research has proven the effects of cinnamon to lower blood sugar levels in people who suffer from diabetes. Daily intake of cinnamon of up to 6 grams can lower blood-sugar levels by 18 to 29%. A cup of cinnamon tea is a delicious way to reduce sugar spikes and improve the modulation of blood sugar levels. Cinnamon is known to improve blood circulation in the body. Improper circulation can affect the body in various ways. It can cause many health problems like varicose veins, pain in the joints, constipation and other health problems. Cinnamon tea has natural warming properties which can warm the body naturally, this helps in increasing the flow of blood all over your body. It is also a natural blood thinner, which is another reason you should switch to drinking cinnamon tea regularly. 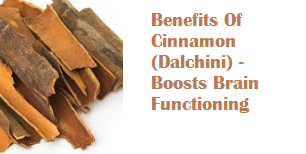 Cinnamon is known to improve the brain cognition, alertness, and memory. Drinking Cinnamon tea helps in improving Memory recall and response time. It also helps you to stay relaxed and focused on your work. It keeps you alert and focused on the task at hand. If you suffer from insomnia then cinnamon is the best remedy for you. Cinnamon promotes a good sleep every night. For a good night sleep just have a glass of hot cinnamon milk before bedtime. Cinnamon is easy to make as it involves only 3 ingredients. In a vessel mix all ingredients and bring it to a boil for 5 to 7 minutes till it gets a nice golden color.